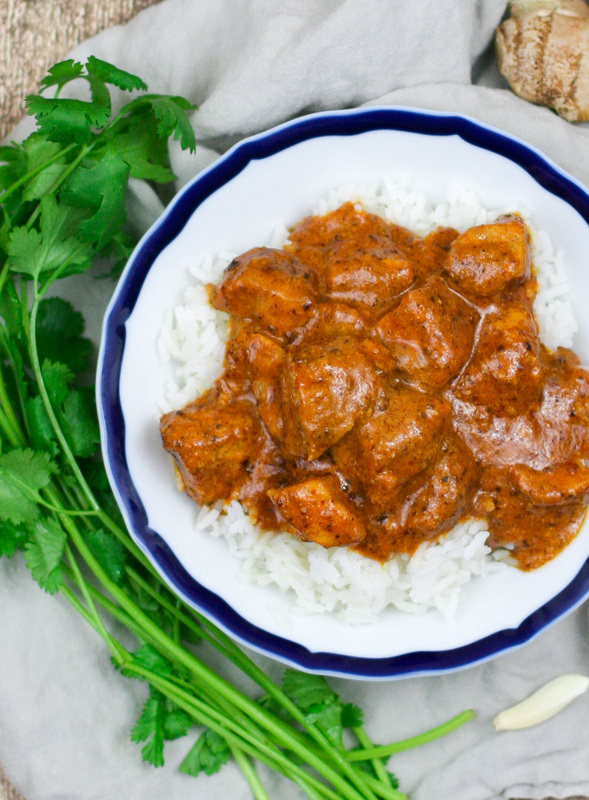 Butter chicken is like a hug in a bowl. 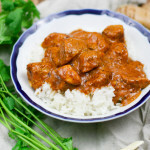 Tender yogurt marinated chicken pieces, swimming in a lusciously creamy tomato sauce with a hint of sweetness and spice from garam masala. When spooned over fluffy rice, the sauce coats each bite with rich, comforting flavors that will make your tastebuds sing. 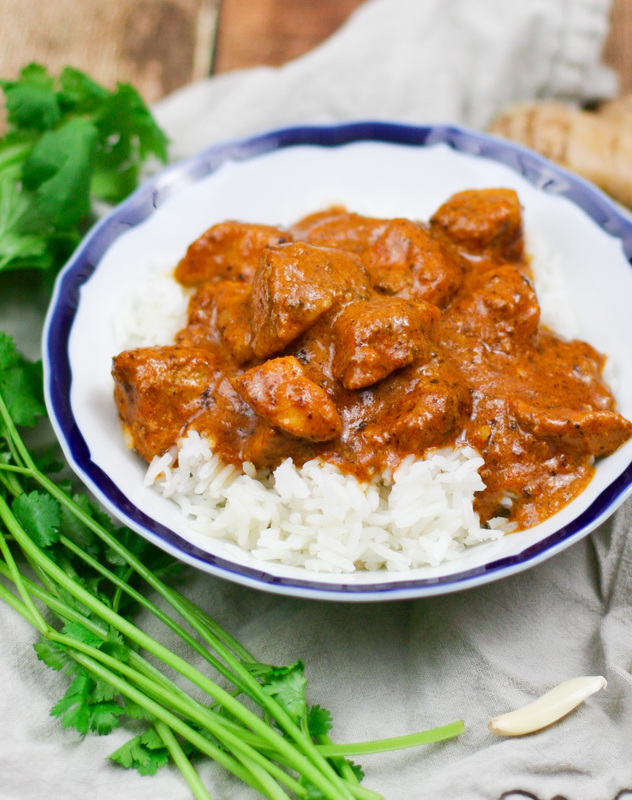 And yes, true to it’s name, butter chicken uses a lot of butter (and heavy cream). But OMG is it good. 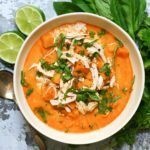 This is a relatively mild Indian dish, and a great introduction for those who might be apprehensive of strong spices or curry-heavy dishes. 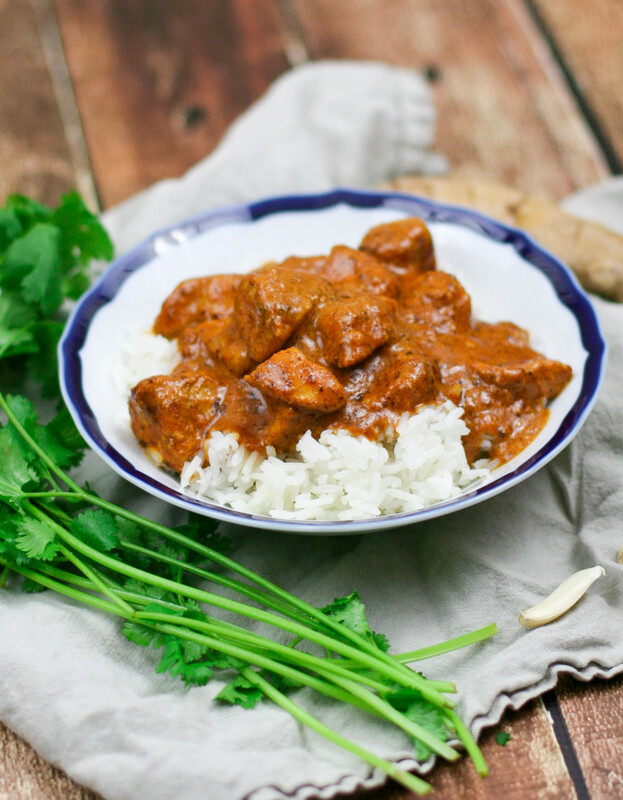 In fact, butter chicken doesn’t use curry spice at all. Instead, it gets it’s flavor from garam masala. What is garam masala? It’s a spice blend made from peppercorns, cloves, cinnamon, nutmeg, cardamom, cumin, and coriander. 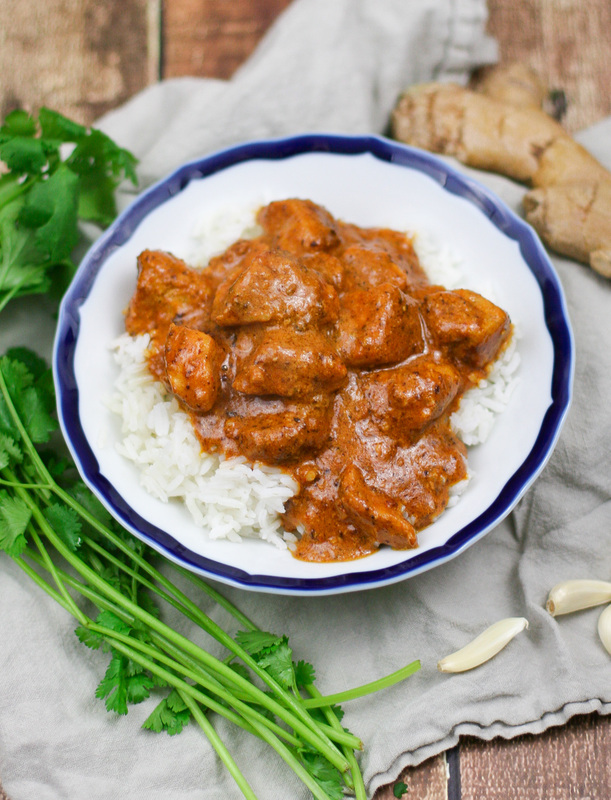 Garam masala gives butter chicken a deep, sweet and savory note that is perfect for a cold winter’s night. Overnight marinating of the chicken in yogurt, lemon juice, ginger, garlic, and a bunch of spices. Sautéing the chicken and simmering in a creamy tomato sauce. So really, once the chicken is marinated, it takes less than 30 minutes to throw together this meal. Just brown the chicken, melt in some butter, stir in tomato sauce and spices, and finish with heavy cream. Get ready to enjoy a new family favorite! Place the cubed chicken in a large dish or ziplock bag. Add the yogurt, lemon juice, ginger, garlic, turmeric, 2 tablespoons garam masala, cumin, coriander, 1/4 cup olive oil, 1 teaspoon salt, and 1/2 teaspoon pepper. Use your hands to toss the chicken and coat evenly with the marinade. Wash your hands well with soap and warm water, cover the dish or close the bag and place the chicken mixture in the fridge to marinate overnight. The next day, when you're ready to make dinner, put the rice in a rice cooker or saucepan and cover with 4 cups of water. Cook in the rice cooker or according to package directions on the stove while you prepare the chicken. Add 2 tablespoons of olive oil to a large nonstick skillet over medium-high heat. Add the chicken to the pan and cook, stirring occasionally, until golden brown on all sides and cooked through, about 12 minutes. Note: Exact time will vary based on the strength of your stove & size and thickness of your pan. Cook the chicken until it is golden, no matter how long it takes, since this is where the base flavor of the dish is developed. When the chicken is golden, reduce the heat to low and add the butter. Cook, stirring constantly, until the butter is melted but not browned. Add the tomato puree, salt, and sugar and stir to combine. Let simmer for 5 minutes until warmed. Turn down the heat and stir in the heavy cream and garam masala. Cook on low until warm. 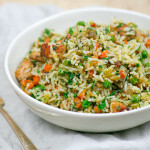 Serve right away over rice and sprinkled with cilantro, if desired. 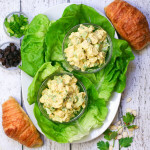 I absolutely love this dish and so do my kids. I’m going to try your version. BTW do you shoot with natural light or lighting setup? Thanks! I agree- it’s sooooo good! I shoot with both natural & artificial light 🙂 This one was artificial though. It just depends on when I’m cooking / what the weather is like! I use the simple Cowboy Studio lighting kit from Amazon & edit w. Lightroom. Just made my marinade and have my chicken marinating in the fridge for tomorrow. When you say to “add the chicken to the pan and cook,” I assume you mean along with the marinade substance, too, right? You’re not picking the individual chicken pieces out of the marinade and then discarding the leftover marinade sauce are you? Thanks. This looks great. I look forward to reporting back. Oooo good question! I used my hands to pull the chicken out of the bag and cooked it with whatever marinade was stuck to it. If there’s any marinade left in the bag after I’ve taken out all the chicken, I toss it! Great – thank you! I have an awful lot of sauce leftover. I think I may use a bit more than what transfers with the chicken, but not all of it. It has such an vibrant color and creamy feel to it I hate to throw it out!